Booklets are an essential part of any company that wishes to look the part, on the go. Having the right book on hand will ensure customers are left with the impression that they are dealing with a professional company. 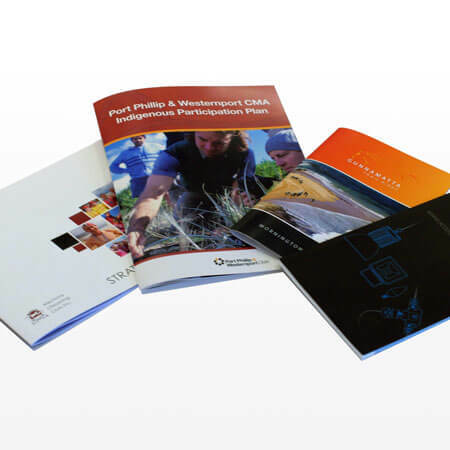 Whether you’re looking for promotional booklets, photo booklets, instructional booklets, or something else, we can help. Printing in one colour or full colour, on gloss card to recycled paper in a range of sizes from DL to A4. Either Landscape or Portrait. Can even deliver finished product to your door. Additional features available include saddle stitched, perforating, booked, scored, round corners. We’ll make the books work for you, too easy. Booklets are perfect for business, schools, tradespeople, or clubs. They are one of the most effective sales tools. Minuteman Press Frankston can design and print, or print your design in a range of sizes and finishes, including but not limited to: 8 to 64 + pages | Portrait or Landscape | Saddle stitched, Wire bound, Comb bound, Coil bound, or Perfect bound | Matt or Gloss Laminated Covers | Glossy or uncoated pages | DL to A4 size books. We have many samples here at our office, we’ll help you select the best stock to get you results. For more information, or to receive a free quote, contact us today on 9773 5586 or sales@mmpfrankston.com.au We’re open Monday to Friday, 8.30am till 5pm.